Huge thank you to Pepperdine Family Camp for making over a hundred hats and cards today! Can’t wait to send these out and bring smiles to many kids! Netcong School Student Council Collects Hats! The Netcong School Student Council organized a fundraiser to help kids with cancer. Kim Arbolino, Student Council Advisor, led the event that took place on Monday. 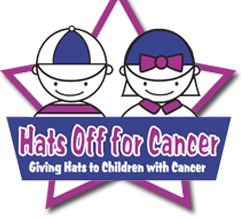 Hats Off For Cancer collects and donates hats of all kinds to children who lose their hair due to cancer treatments. 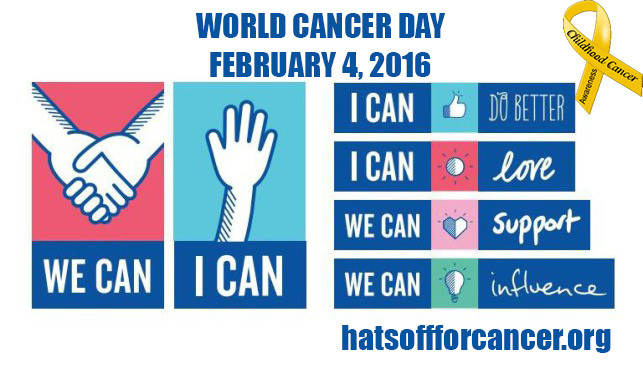 Netcong Students were allowed to wear a hat to school if they donated a brand new hat for kids with cancer. A total of 57 hats were collected. Today is World Cancer Day and we’d like to help bring awareness today (and everyday) to all the brave children and teens battling cancer. Use this graphic to post on your social media to help spread the word! We’re so thankful for all of our incredible donors and supporters! We’re also continually blown away by the courage of the kids and teens battling cancer every day, and thankful to be able to help them. We wish you and your loved ones a very Happy Thanksgiving!